AMANDA PARACUELLOS has represented clients, from start-ups to large, publicly held companies, in a wide variety of corporate transactional matters including acquisitions, mergers, joint ventures and other collaborative arrangements, securities offerings, private equity financings, corporate restructurings, corporate governance, commercial contracts, PE and hedge fund investments and technology licensing. Ms. Paracuellos also has significant experience in several industries including life sciences, healthcare, government contracting, and media. Ms. Paracuellos began her career practicing in the area of corporate, securities and intellectual property transactions at Arnold & Porter LLP in Washington, DC and later became a partner in the Corporate & Transactional practice at Crowell & Moring, LLP in Orange County, CA. Ms. Paracuellos also spent one year as General Counsel for an LA-based media company. 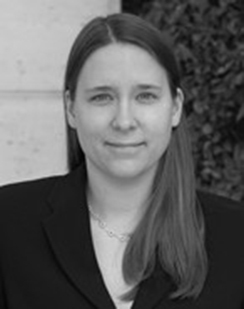 Amanda received her law degree, with highest distinction, in 1996 from the University of Iowa College of Law where she served as a member of the Iowa Law Review. Amanda received her undergraduate degree in 1993 from the University of Michigan where she studied English and Political Science. Amanda is admitted to the California and District of Columbia bars.